Note: This is Part 3 in a series about meeting the twin challenges of increased enrollment and too little school capacity. Read Part 1 here and Part 2 here. In recent years our city’s leaders have grappled with some difficult budget decisions, but this year serves up the most bitter-tasting cocktail of pressing issues since the Great Recession: sewers, Metro, crumbling city infrastructure, and, of course, school capacity constraints. The capital improvement budget adopted by the School Board in December represents ACPS’ ask to the city over the next ten years: $611.1 million. It’s a staggering sum, and the number of construction projects on the horizon is impressive—a new Patrick Henry K-8 school, retrofitting commercial space on Beauregard Street for a new elementary school, and a Minnie Howard rebuild that can’t happen too soon. To help convince the city council to approve an unprecedented infusion of CIP funds into the schools, and convince Alexandria taxpayers that they should foot the bill, it is essential that every reasonable step be taken to ensure that the money will be well spent. One possibility is for the city council to direct the city manager to take over the management of our school facilities. In other words, put city-wide responsibility for both new construction projects and day-to-day maintenance of all existing facilities under one authority. While ACPS has made steady progress in student achievement, facilities management is an area that ACPS has struggled with for several years. In part, that struggle reflects chronic understaffing and turnover. It’s hard to retain your best staff when higher-paying private sector job options are plentiful. Even a problem as straightforward as having clean and functioning restrooms at T.C. Williams took an entire school year and a multitude of complaints before it was finally resolved. Combining all city facilities under one umbrella would provide economies of scale for maintenance and other contracts, and would allow for more streamlined coordination in areas where the city and schools overlap, such as in issuing permits and optimal use of recreation centers. I hope that the city council will take up this conversation. If this particular idea won’t work, I’d like to hear why not. And more than that, I’d like to hear an approach to facilities management that will earn taxpayers’ trust as we embark on a decade of school expansion and modernization. An ancillary benefit of giving the city oversight of school facilities is that the city could make school auditoriums and classrooms available at a reasonable cost for nonprofit arts organizations that struggle to find affordable spaces for rehearsals and performances. Rental fees charged by ACPS are out of reach for many small nonprofits, and the lack of use of school facilities by such organizations is a testament to that. In the 2016 fiscal year, ACPS earned just $13,725 in rental fees for auditoriums, excluding rentals by churches, out of an operating budget of $240 million. This has an important connection to our city’s youth. 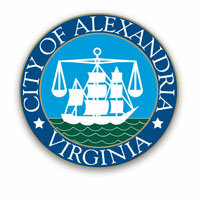 Periodically, the city of Alexandria surveys ACPS students in grades eight, ten and 12 to measure their developmental assets—basic building blocks of human development that correspond to a student’s likelihood to avoid risky behaviors, to perform well in school and to thrive in their community. The idea behind the survey is simple: The more assets a young person reports, the more likely he or she is to be successful as a student and a citizen. The report Developmental Assets: A Profile of Your Youth was recently released and is based on March 2016 survey data. Students were asked about their experiences in 40 developmental assets—20 are external (such as “caring neighborhood”) and 20 are internal (such as “self-esteem”). Out of the 40 assets, three that youth commonly report are “Family life provides high levels of love and support”(71%), “Young person’s best friends model responsible behavior” (71%), and “Young person is optimistic about his or her personal future” (73%). The one that was LEAST reported among youth relates to creative activities. Only 16% of students indicated that “Young person spends three or more hours per week in lessons or practice in music, theater or other arts.” I am hopeful that our community will explore ways to address this deficit as well as other deficits that were identified by the survey, and Port City Notebook will keep you posted on that in coming months. The Developmental Assets report hits close to home with me because I am involved with a program called ASO Sympatico, a music education program which serves 115 students in K through fifth grade at John Adams Elementary School. It is funded entirely by the Alexandria Symphony Orchestra (ASO). Our data show that Sympatico delivers serious benefits to the students who participate: Their school attendance goes up, their class participation increases, and their overall academic performance improves. This program is offered free of charge, and participants can choose between before-school and after-school ensembles. Best of all, the program serves a broad cross-section of John Adams students, many of whose parents could not afford to pay for private music lessons. ASO is passionately supportive of the current program, which is based on the el Sistema model of music education developed decades ago in Venezuela, because it extends the benefits of serious exposure to the arts to underserved segments of the community. The ASO would be thrilled to expand this program to other elementary schools and to help fill the void that was identified by the Developmental Assets survey, but does not have the resources available to make that happen. Please contact me if you or someone you know would like to know more about supporting ASO Sympatico financially. This excellent TED Talk by Nigerian author Chimamanda Ngozi Adichie is timely and relevant for our community, our country and our world. It is called The Danger of a Single Story.